So, I had a big ol' pool of characters, and nothing to do with them, so I decided to draw them in a variety of superhero costumes--the traditional, the magical girl, the motorcycle armor is cool...AND WHATTA YA KNOW A COUPLE MONTHS LATER A STORY STARTED TO POP OUT. Yeah, so that was fun! 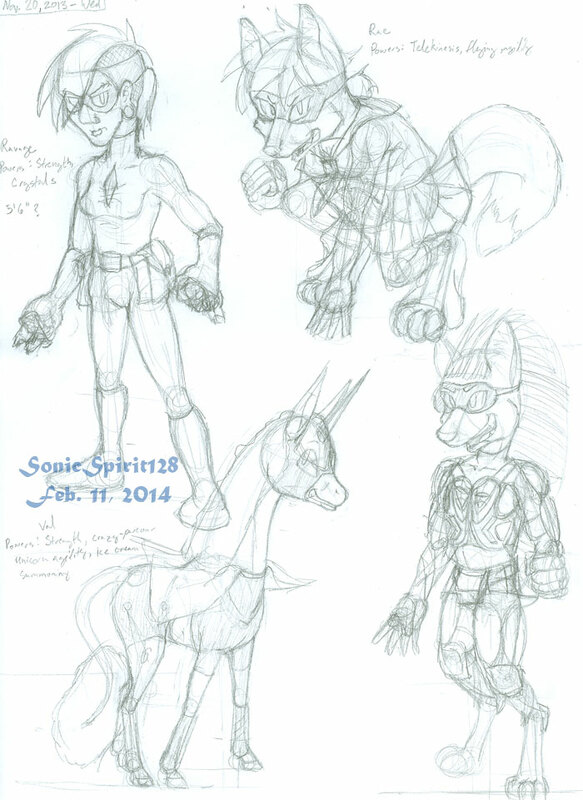 So have some superhero concept sketches!